Warriors from whole Europe come to Moesgaard in this weekend and more than 20.000 people from the city of Aarhus come to watch their fights. Moesgaard Viking Moot is Denmark's - maybe even the Worlds - oldest Viking market. 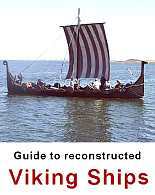 It started as small courses in Viking handwork in the 1970'ies. Year by year the smiths and hand workers attracted attention and more and more people made a picnic out it and came from Aarhus to watch them. The first real public market took place in 1977. So the market will celebrate its 40th anniversary in 2017 - in the year of Aarhus being European Capital of Culture. By time it has grown to be one of the biggest events of Aarhus and an important place to meet for Vikings around the World. The Viking Moot at Moesgaard Beach inspired others to establish markets many other places in Denmark and in other countries. 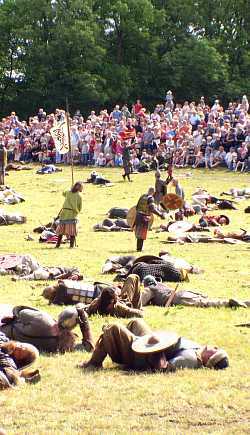 600 vikings - among them 300 Viking warriors - visit Moesgaard every year and many more have been hoping for an invitation to participate. Even though the official organizer is Moesgaard Museum the Viking Moot is not one of the most authentic Viking Events. 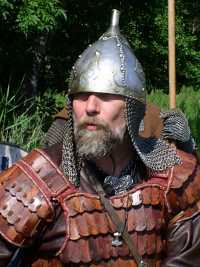 It suffers a little under the fact that it was a popular event before Viking markets became a real concept. For years you could easely find plastic tents, bananas and other unoriginal equipment but every year the museum looks more strictly to the rules to make the market a more authentic experience and today things are rare. Apart from the two daily battles there are many Icelandic horses performing. At the marketplace hand workers and traders sell clothing, silver jewels and different kinds of food. Among others there is a tent that sell grilled lamb and a "baking shop" selling ancient pita bread. 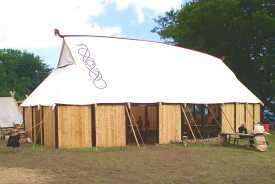 This practical long house tent is used to serve drinks at the market. About 50 people can sit there. The date for Moesgaard Viking Moot is always kept close to the Saint Olai Day at 29th of July when there was a tradition of having markets in the old Aarhus (Aros). In 2019 the market is held 27 and 28 of July. For public the market is open from 10 to 17 o'clock. The horse show and daily battles are held at 12 and 15 o'clock. The price for entrance is 140 Danish Kroner for adults. Children under 18 years of age have free entrance. 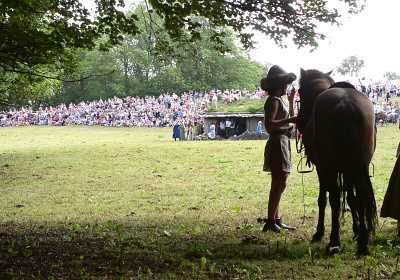 The Viking Moot is held at Moesgaard Beach a few kilometres south of Aarhus. The Home Guard shows parking places. City buss number 31 are going from the centre of Aarhus direct to the Beach. There is a few hundred meters to walk. It is also possible to walk from Moesgaard Museum. The distance is around two kilometres. The week before the market Vikings are living at the place and training for the fights in the woods of Moesgaard.